Complete Contact Lens Solution have now been discontinued. Please choose Complete Revitalens Multi-Purpose Disinfecting Solution. 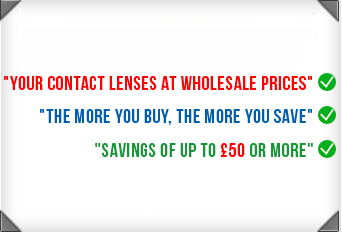 Complete multi purpose solution helps you maintain clean and comfortable contact lenses? 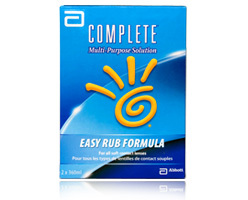 COMPLETE® Multi-Purpose Solution Easy Rub® Formula brings you disinfection and comfort. With its unique Easy Rub® Formula, COMPLETE® MPS promotes disinfection by removing and killing a broad range of bacteria and microorganisms on your lenses to help protect your eyes against infection. COMPLETE® MPS Easy Rub® Formula removes protein and debris to thoroughly clean your lenses. COMPLETE® MPS Easy Rub® Formula contains Poloxamer 237, an effective cleaner that is also gentle on the eyes. With 4 beneficial electrolytes, COMPLETE® MPS Easy Rub® formula helps promote a healthy lens wearing experience. Very impressed will order again, and have highly recommended to family members and friends. Would recomend your site to anyone fantastic customer service and super fast delivery !!! !